In June 2015 I had the pleasure of hosting higher education and economic development leaders from the Association of Public and Land-grant Universities to show them how NC State creates prosperity and opportunity for the citizens of North Carolina and the nation. At NC State, we know collaboration is the key to progress. That’s why we’ve recently taken the helm of key national public-private partnerships driving innovations in climate science, clean energy, big data, power electronics and health care. We’ve cut through red tape so our industry partners can more easily move powerful new ideas from the laboratory to the market. We’ve also changed the way we hire and promote faculty to spur cross-disciplinary efforts in some of the hottest emerging fields, from bioinformatics to regenerative medicine. 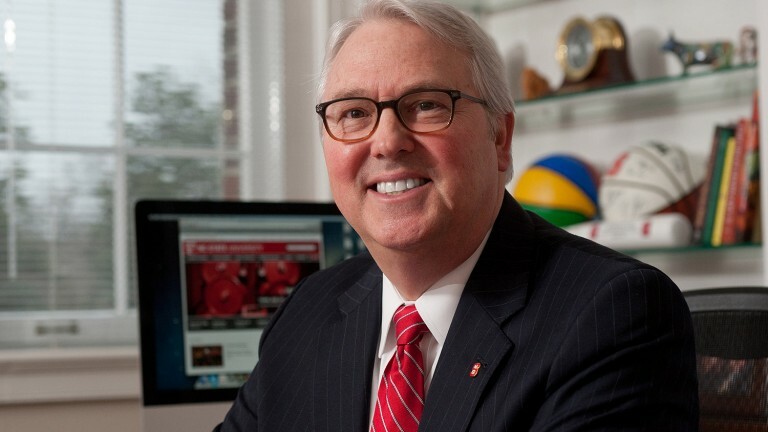 And we’ve asked our alumni, friends and supporters to help NC State reach its full potential. These strategies have been remarkably effective. NC State now ranks second in state and local government-sponsored research among U.S. land-grant universities without medical schools. We’re seventh in the nation when it comes to the number of new companies created as a result of our original research. Our cluster-hiring program is a national model for breaking down disciplinary walls and attracting more world-leading faculty. And our endowment is set to surpass the $1 billion mark for the first time in university history. Best of all, opportunities for high-performing students have never been greater. Thanks to our network of public and private partners in North Carolina and around the world, NC State’s 34,000 students are gaining real-world experience through research, fellowships, study-abroad programs and entrepreneurship initiatives. That experience, combined with NC State’s high academic standards, ensures that our students are uniquely prepared to get — and create — excellent jobs. In this annual report, I’m delighted to present snapshots of some of our most innovative and successful programs from the past academic year, all focused on creating economic, societal and intellectual prosperity. These stories show a university tackling the challenges of our time with intellectual rigor and boundless energy. And we’ve accomplished it all with a philosophy as simple as it is powerful: Think and Do.